The city is close to finishing lit tennis courts at Fort Lewis College. Residents will be able to use the courts for free. Four tennis courts are nearing completion at Fort Lewis College. The courts are across the street from the Smith Sports Complex on the northeast side of campus. 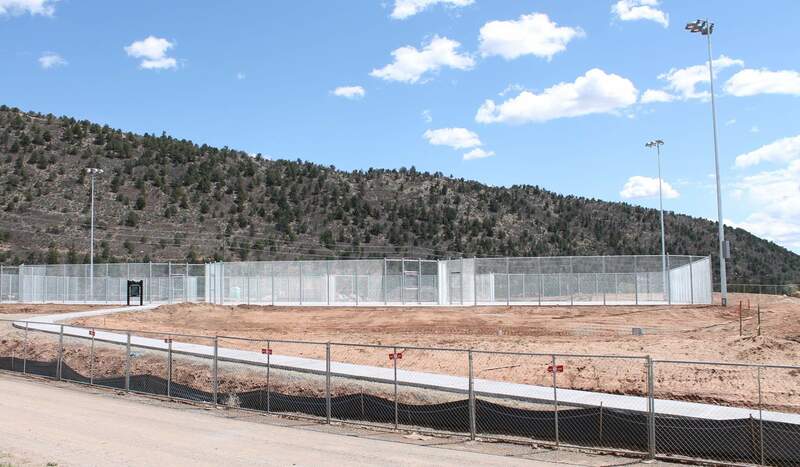 Four new tennis courts at Fort Lewis College are expected to be complete by June. The $389,000 project is expected to help meet demand from tennis players who fill up existing courts at the Mason Center and Jenkins Ranch Park during the summer, Parks and Recreation Director Cathy Metz said. “It’s a great location. It helps the college and helps the community,” she said. While competitive adult tennis is not as popular as it used to be in Durango, there are quite a few players who enjoy social games, said Mike Lewis, with the Durango Community Tennis Association. “I have had complaints from people that it’s hard to find a court in the summer,” he said. There are fewer tennis courts now in Durango than there were in the 1980s, he said. The association donated $10,000 to the new courts, and the city received other grant funding for the project as well, Metz said. The tennis courts are the final project the city agreed to complete as part of a 50-year lease agreement with the college. The college doesn’t have a tennis program, but the new courts offer FLC that opportunity, she said. The city also built the new Smith Sports Complex for $5.5 million and remodeled the softball fields for about $3.9 million as part of the contract. As part of the agreement, the city will maintain the facilities and split the cost of utilities with the college, she said. The city had initially planned to rebuild the tennis courts near the Student Life Center, but the city agreed to move them across the street from the Smith Sports Complex, which will allow the center to expand at some point. Residents will be able to drop in and play at the courts for free or reserve the courts for $1 per 15 minutes. The city also plans to charge players for the use of lights after dark, but the city has not determined what the rate for the lights will be, she said. Players will be able to pay by credit card at the courts. The city considered including pickleball court lines in the design of the new tennis courts, because pickleball is growing in popularity. But when the city included both tennis and pickleball lines on the courts at the Mason Center, it didn’t work well, Metz said. It is preferable to have dedicated outdoor pickleball courts, she said. “That’s really the direction we intend to go,” she said. 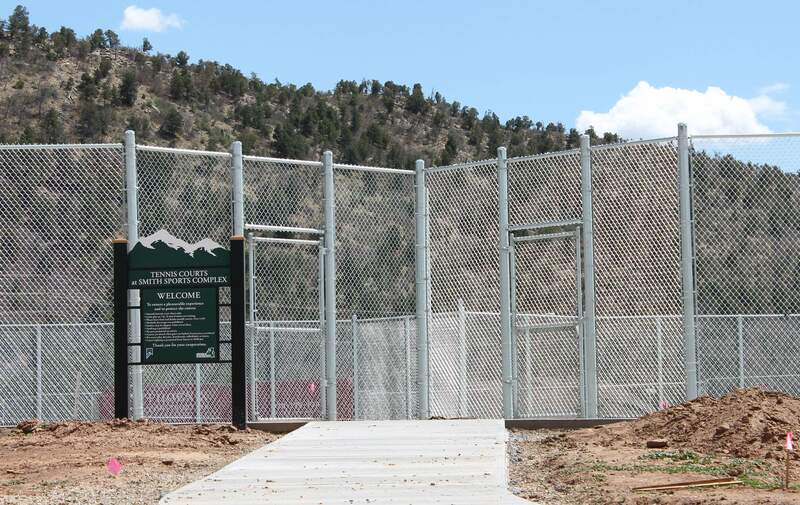 The city will host a dedication of the softball complex and tennis courts at 4 p.m. June 1 at Fort Lewis College.